One of the most romantic and beautiful places in Wales is Pentre Ifan. 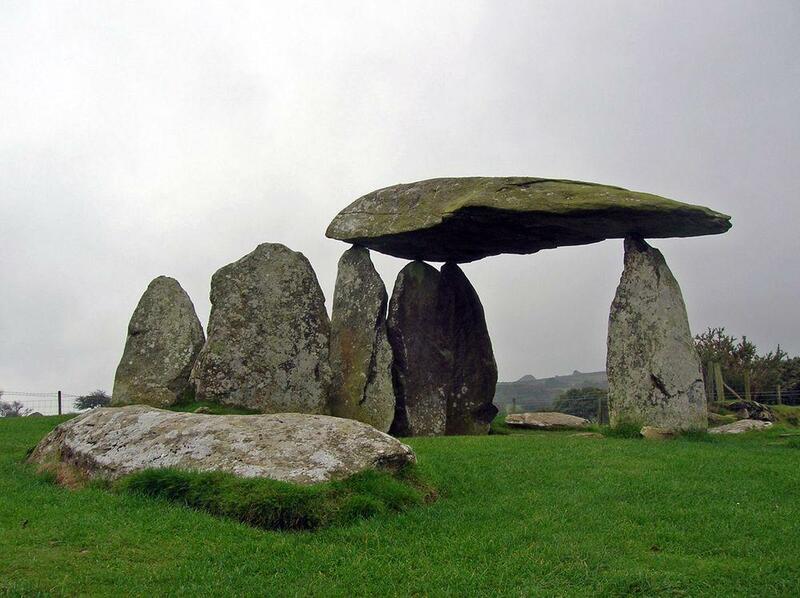 This is one of the best preserved Neolithic dolmens in Wales. It is not entirely clear how arised the name "Pentre Ifan" – it could mean "A village of Ivan", but some explain it as "5 Stones Heaven" – Pentray Eevan. It is also not entirely clear – why Neolithic people built this structure. Excavations in 1936 – 1937 and 1958 – 1959 (both organized by William Francis Grimes) did not find any burials here – just some sherds of Neolithic pottery and flint tools were found, as well as a pit with signs of burning and smaller postholes. Pentre Ifan was built sometimes around 3500 BC. Nevertheless it is considered that this structure was used for communal burial and – possibly, also as a ritual centre. Seven large stones still remain in their original positions. Most striking feature of Pentre Ifan is the enormous, 5.1 m long capstone (some 16 tonnes heavy), standing on the sharp tips of three upright stones. Capstone has been rised 2.4 m above the ground. One upright stone still is blocking the entrance into the cist – there is a cupmark and a ring hewn in it. Several more stones are scattered around. This is all what remains of a much larger structure. It is considered that originally Pentre Ifan was 36.6 m long and 17 m wide mound with dry stone wall at the crescent formed entrance into the cist. Presently exposed stones were covered with a mound. 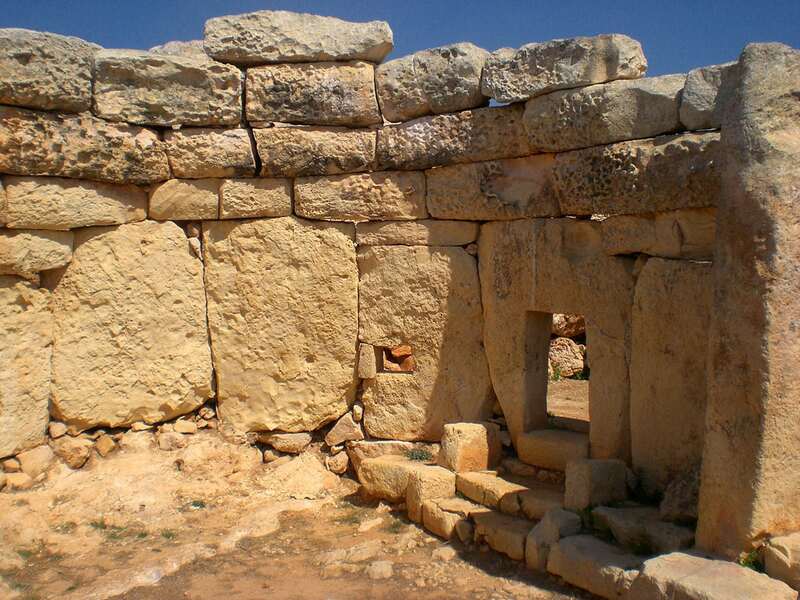 The chamber between these stones is 3 m long, 2 m wide and 3 m high (the ground inside was made lower). To the east is located fallen 2.74 m long stone. 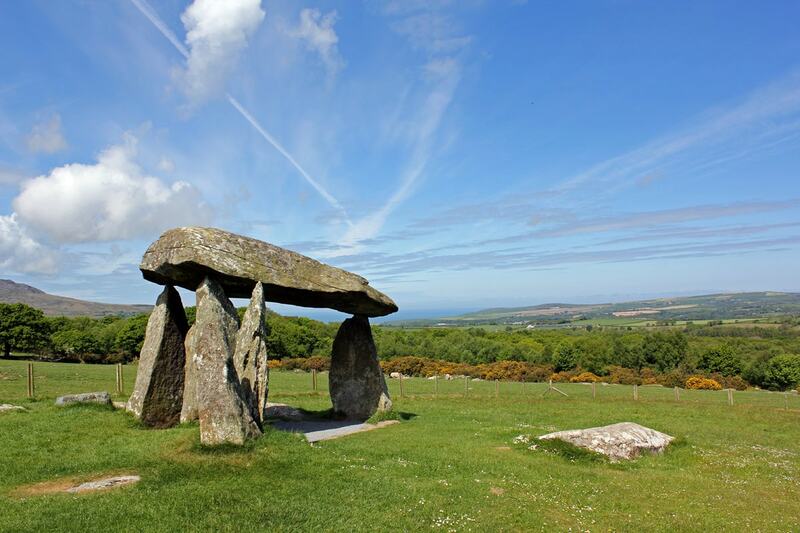 Pentre Ifan is located on a hilltop, with beautiful views on surrounding rural landscape. This is beloved site – it is welcoming, a visitor loves to sit down below the capstone and contemplate the surrounding landscape. In Victorian times ladies and gentleman even enjoyed their picnics seated on the top of dolmen. There are also local legends about fairies (Tlwyth Teg) seen around the dolmen. Eyewitness has described these mythical beings in the early 20th century as "little children in clothes like soldiers, with red caps". Castles – diverse, impressive and sometimes gruesome. One of the best is Pembrokeshire Castle. Megalithic monuments – Pembrokeshire is very rich with Neolithic and Bronze Age monuments. The best known is Pentre Ifan. Practical guidebook to walking the Pembrokeshire Coast Path. 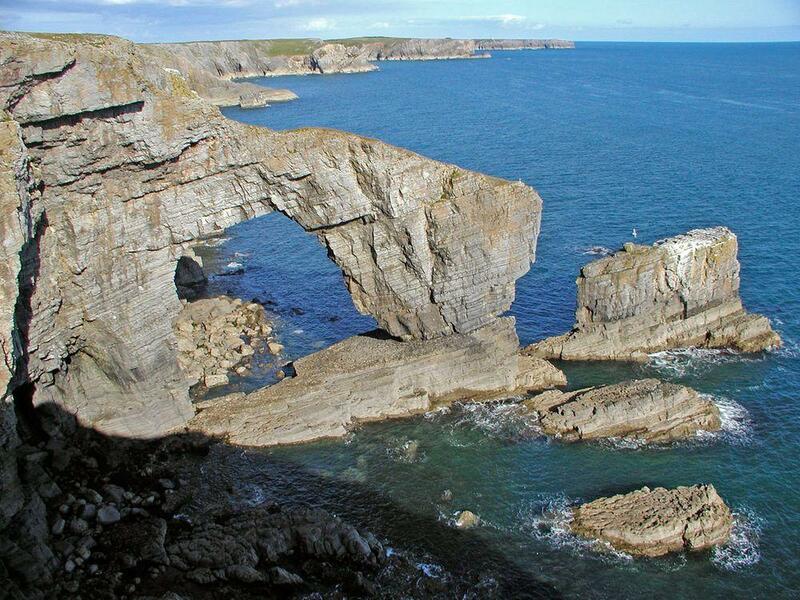 The walk follows a National Trail around the coastline in south-west Wales. Includes maps, accommodation, pubs and restaurants, and what to see along the coastal path. 102 maps: 96 large-scale walking maps, 6 town plans, 10 stage with trail profiles and 2 overview maps. Powerful Places in Wales is not your usual guidebook. It is not about visiting places, it’s about experiencing them. Wales doesn’t reveal itself easily, and not to the casual visitor. But when it does open itself to you, you will be amazed at its wonders.